17 | April | 2013 | Watts Up With That? April 17, 2013 in Climate data. April 17, 2013 in Carbon credits. 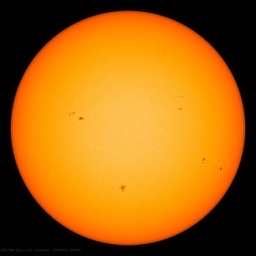 April 17, 2013 in Cosmic rays, Solar. When I was a kid, I’d watch cartoons with mad scientists running amok and causing trouble. As an adult, I observed that there actually aren’t any mad scientists. Now, after reading Dr. James Hansen’s latest essay, I’m not so sure anymore. April 17, 2013 in Climate Craziness of the Week, James Hansen. April 17, 2013 in Ocean Heat Content, Trenberth's missing heats.